Steve Bannon, President Trump's former White House chief strategist, spoke with Wilbur Ross about adding a citizenship question to the 2020 census, according to a new court document. Commerce Secretary Wilbur Ross (left) and U.S. Attorney General Jeff Sessions, seen in February, spoke about adding a citizenship question to the 2020 census in the spring of 2017, according to a new court filing. This disclosure backtracks Ross' congressional testimony in March. As the head of the Commerce Department, Ross oversees the Census Bureau and approved adding a controversial question about U.S. citizenship status to forms for the upcoming national head count. "Has the president or anyone in the White House discussed with you or anyone on your team about adding the citizenship question?" Rep. Grace Meng, D-N.Y., asked Ross during a House Appropriations Commerce, Justice, Science, and Related Agencies Subcommittee hearing on March 20. "I am not aware of any such," Ross testified. Ross also has told lawmakers that the Justice Department "initiated" the request for the question with a letter sent to the Census Bureau in December 2017. 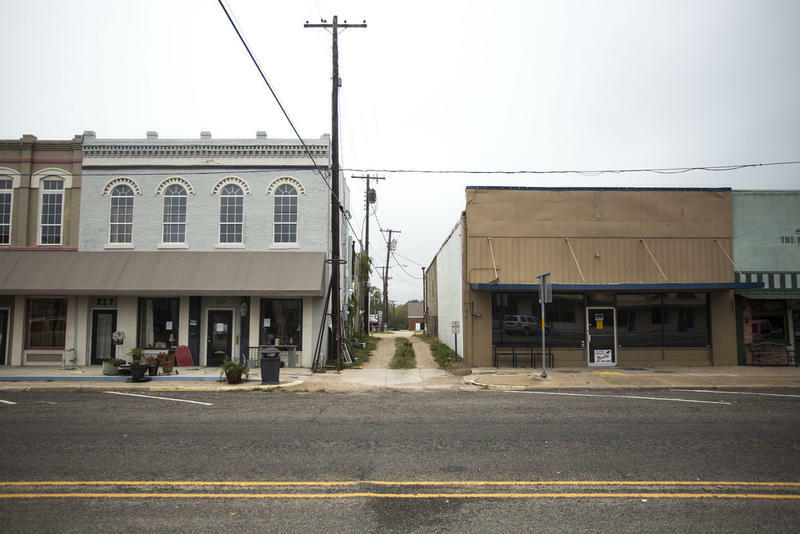 He has said he approved the request because the department needs responses to it to better enforce the Voting Rights Act's protections against discrimination of racial and language minorities. "We are responding solely to the Department of Justice's request," Ross replied during the March 20 hearing after Rep. José Serrano, D-N.Y., asked whether President Trump or anyone else at the White House directed him to add a question about citizenship status. Revelations in the document released Thursday, as well as documents previously released as part of the six lawsuits the Trump administration is facing over the citizenship question, demonstrate that was not the case. They contradict a timeline Ross described to Congress of how the question was added to the census. In a court document written in August, the administration's attorneys wrote that "the Defendants cannot confirm that the Secretary spoke to Steve Bannon regarding the Citizenship Question." They also noted they could not confirm when similar conversations between Ross and U.S. Attorney General Jeff Sessions took place before a discussion in August 2017. The attorneys now write in the new document that discussions about a citizenship question between Ross and Sessions took place in the spring of 2017 and "at subsequent times." 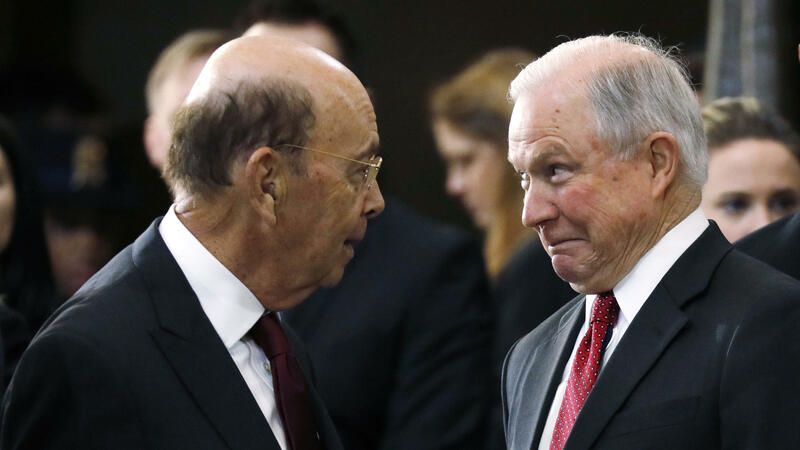 "Secretary Ross recalls that [Steve] Bannon called Secretary Ross in the Spring of 2017 to ask Secretary Ross if he would be willing to speak to then-Kansas Secretary of State Kris Kobach about Secretary Kobach's ideas about a possible citizenship question on the decennial census," the attorneys write. In a July 2017 email to Ross, Kobach — the current Republican candidate for Kansas governor — proposed wording for a citizenship question that would ask the immigration status of noncitizens. Kobach wrote that he was concerned that "aliens who do not actually 'reside' in the United States are still counted" in the census numbers used to determine how many seats in Congress each state gets after each once-a-decade head count. A spokesperson for the Commerce Department, Kevin Manning, said in a written statement that, during the March 20 hearing, Ross "truthfully answered" Meng's question about whether the President or anyone in the White House had discussed the issue with him. The question came after an exchange between the two about a Trump campaign email that said President Trump wanted the 2020 census to ask about citizenship status. "In testimony with Rep. Meng, Secretary Ross was responding to a question about an RNC campaign email, not a direct question about the citizenship question," Manning wrote. "He was in fact looking at the RNC email that the Congresswoman provided him during the hearing as he was responding to Rep. Meng's question." Manning added that Ross, "had not discussed the RNC email with the White House." But Meng tells NPR that the Commerce Department's explanation "can't be relevant" to Ross' reply to her question, which did not mention the RNC email. "It was pretty clear that I was asking about the addition of this question," the congresswoman says. "It's very hurtful to our country and the bipartisan process that we as Congress members and the American public believe so highly in that he would lie not just once but multiple times about communications that he had." In a statement, Steven Choi, executive director of the New York Immigration Coalition, blasted Trump, saying Thursday's documents show "his Commerce Secretary conspired with a white supremacist to rig the Census." Choi's organization is one of the plaintiffs in the citizenship question lawsuits. "It's obvious that the administration hates immigrants and wants to deny big, blue states federal resources and political power by undercounting them in the Census," Choi added. "This is a perversion of the Constitution for partisan gain and a direct attack on anyone who doesn't meet Steve Bannon's warped approval." The document was posted on the website for the New York State Attorney General's Office, which is representing plaintiffs in one of the six lawsuits filed by dozens of states, cities and other groups that want the question about U.S. citizenship status the administration plans to add removed from the census. Critics of the question fear that asking about citizenship status in the current political climate could scare households with noncitizens from participating in the census, which would harm the accuracy of the information collected. Devin O'Malley, a spokesperson for the Justice Department — which is representing the administration in this legal battle — declined to comment. A spokesperson for Bannon did not immediately respond to NPR's inquiry. On Wednesday, the Commerce Department's Office of Inspector General, the agency's watchdog group, said it is considering launching an investigation into how the question was added. This follows a request by Democrats in both the Senate and House of Representatives. Here in Washington, the Supreme Court is weighing in on lawsuits over the citizenship question that was added by the Trump administration to the 2020 census. The court is expected to rule soon on whether a Cabinet secretary and a senior official can be questioned under oath in those cases. Now, all of this has led to a new discovery about a former Trump official who pushed for the citizenship question. NPR's Hansi Lo Wang reports. 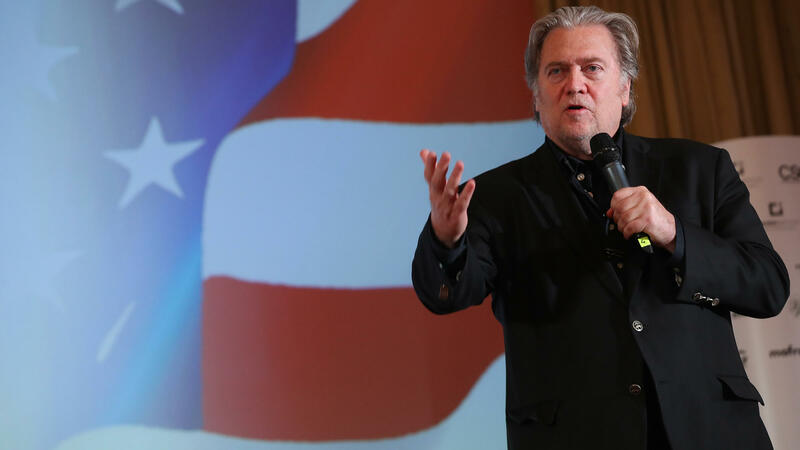 HANSI LO WANG, BYLINE: Steve Bannon, the former chief strategist at the White House, was involved in an early discussion about adding a citizenship question that Commerce Secretary Wilbur Ross said he just remembered. That's according to a court document filed by the Trump administration. That sudden recall backtracks on congressional testimony by Ross, who oversees the Census Bureau. WILBUR ROSS: We have had a request, as everyone is aware, from the Department of Justice to add a citizenship question. WANG: Ross testified at a hearing in March, just days before he approved that request for the 2020 census. GRACE MENG: You mentioned that you had not seen the email that the Trump campaign sent out. WANG: Congresswoman Grace Meng, a Democrat from New York, asked Ross about the citizenship question. MENG: Has the president or anyone in the White House discussed with you or anyone on your team about adding this citizenship question? ROSS: I'm not aware of any such. WANG: Ross may not have been aware then, but he says he now recalls discussing the issue with former White House adviser Steve Bannon. MENG: We have to make sure that the American people know they were being misled. WANG: In a written statement, the Commerce Department says Ross meant to say that he and the White House had not discussed a Trump campaign email about the question. Here's Congresswoman Grace Meng again. MENG: Oh, I definitely was lied to. STEVE CHOI: It's not a surprise. We know that the White House has been lying about this from the start. WANG: Steve Choi leads the New York Immigration Coalition. The group is suing to get the citizenship question removed. CHOI: The citizenship question really has always had one motive - to scare immigrant communities from participating. WANG: The administration says the Justice Department needs the question to better enforce the Voting Rights Act. NPR's review of more than 12,000 pages of court documents calls into question that assertion. This week, the Commerce Department inspector general's office said it's considering starting an investigation about the citizenship question. Hansi Lo Wang, NPR News, New York. Transcript provided by NPR, Copyright NPR.